Split Apple Rock is a geological rock formation in The Tasman Bay off the northern coast of the South Island of New Zealand. 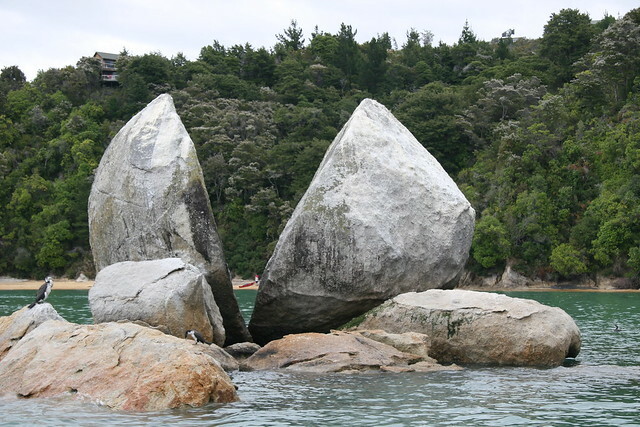 The rock, made of granite, looks like an apple split in half. The popular tourist attraction is located in the Tasman Sea approximately 50 metres off the coast between Kaiteriteri and Marahau. The cleft to produce two sides of the ‘apple’ was a natural occurrence but it is unknown when it occurred.